TORONTO -- The Ontario Real Estate Association is making more than three dozen recommendations to the provincial government on how it should update the rules governing realtors, including allowing for a more open bidding process for buyers and sellers. In a report Thursday, the group says the Real Estate and Business Brokers Act (REBBA), which was put in place in 2002, is in need of a revamp. "The average price of a home in 2002 was $275,000 in Toronto and most deals were closed by a fax machine," said Tim Hudak, chief executive of OREA, which has more than 70,000 members. "This legislation is out of date." One of the suggestions includes permitting realtors to disclose details about a competing offer to another bidder, if all sides involved agree. This would include offer price, closing dates and any conditions. The group says doing so would result in a more "transparent" multi-offer process that would give buyers more information to make their best offer, and sellers the knowledge that they have received the best offer for a property. Currently, most buyers and sellers participate in a blind bidding process where buyers go in with an offer, in the hopes that they are not outbid. If they are, they are then asked to raise their bid, but without knowing the details about the alternate offer. "Whether consumers decide to consent to a transparent multiple offer process or not, they should have the choice under REBBA," according to the 33-page report. 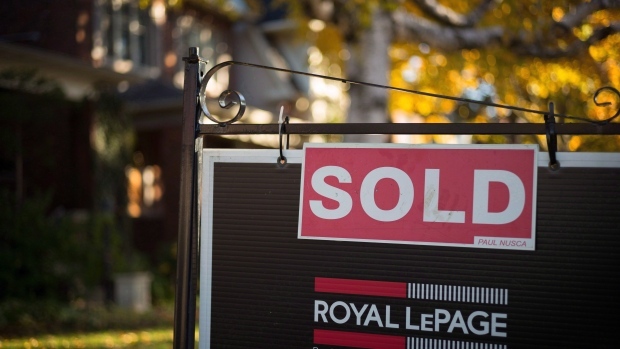 The report follows a year-long review of the legislation by a task force made up of the heads of the country's top real estate brokerages including Sotheby's International Realty Canada, Royal LePage Canada and Re/Max Integra. The report also suggests tougher rules be introduced against those who operate as real estate "consultants," in an effort to avoid being required to register and train as realtors. Hudak says his group has seen a growth in the number of people who act or pass off as realtors, but do not operate under the same legal and ethical rules. He says newcomers from Chinese and Korean communities have been the biggest targets by these consultants. "There is a strong consumer protection case to be made to clear up this grey area and stop the illegal activity," he said. "If you're going to trade in real estate, you need to be registered." -- Reverting the total number of hours required to complete a realtor licence to 255 hours, from the newly decreased 120 hours (set to come into effect in 2019). -- Requiring builders and developers to register under the act to sell pre-construction properties. -- Doubling the maximum fines for those who break the REBBA code of ethics to $50,000 for salespeople and brokers and $100,000 for brokerages. -- Allowing realtors to incorporate their businesses, which is permitted in B.C., Quebec, Alberta, Saskatchewan, Manitoba and Nova Scotia.